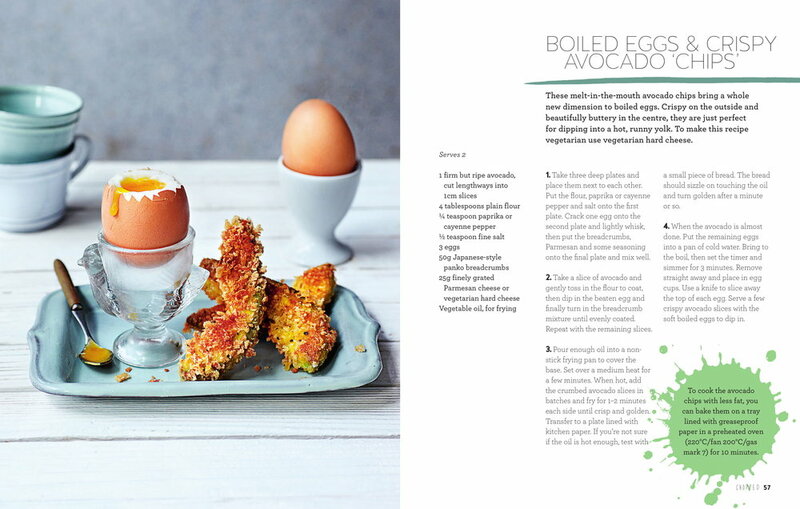 My first cookbook, The Goodness of Avocado, was published by Kyle Books in 2016 (Photography by Clare Winfield). “I love avocados, you love avocados we all love avocados – but why? When I crave avocado, nothing else will do. It is unique. Unlike most other fruit, veg and salad leaves, avocado can’t easily be substituted – its rich, velvety smoothness and creamy, mild grassy flavour is matchless. Avocado brings something special to a recipe that nothing else can; something virtuous and indulgent, all rolled into one. It is also endlessly versatile, simple and quick to prepare and insanely nutritious. These recipes are divided into four chapters – based on how you want to prepare your avocado: blitzed, smashed, chopped and sweet. In the Blitzed chapter you’ll find silky smooth salad dressings and soups, addictive pesto, luscious dips for dunking crunchy crudités or sweet potato chips and nutritious smoothies. The Smashed chapter brings you the classic guacamole plus twists to slather on toast, top with eggs or scoop up with pitta or flatbread. Avocados are diced and sliced as well as pickled, griddled and battered in the Chopped chapter – there are salsas, mouth-watering ceviches and summery suppers.